Most estate planning is focused on passing assets to your heirs and doing it with as little fanfare as possible. But what if there’s someone you absolutely do not want to benefit from your estate? They never come to visit, they’ve offended you in some way, or you just don’t like them. You know you’ll turn over in your grave if they get even one dollar of your money. It happens. When legendary entertainer Jerry Lewis died in 2017 at the age of 91, he left behind a wife, five children from a previous marriage, one adopted daughter, and an estate worth approximately $50 million. For reasons unknown, Lewis disinherited 5 of his children. They get nothing and neither do their descendants. Lewis’ widow, SanDee Pitnick, is the sole beneficiary of the estate with their 25-year old adopted daughter, Danielle, next in line. Jerry Lewis used a will as his estate planning tool. A will requires probate, and once the probate process begins anyone can see it. That’s how The Blast celebrity news acquired a copy of Lewis’ Last Will and Testament stating that Lewis intentionally excluded specific children. The will, executed in 2012, also mentions Joseph Lewis, a sixth child from the first marriage, who died of a drug overdose in 2009. That’s the language in Jerry Lewis’ will. “I have intentionally excluded…” and at the end of that same paragraph repeats, “…it being my intention…” He leaves no question. This is not a random decision. He is intentionally cutting the kids out of the will. If you would like help with a will or trust, let us know.  Contact us at info@alhambrapartners.com.